When it comes to enhancing the overall appearance of your home, you should be rest assured to have the best for your home decor needs. However, it would be in your best interest that you should look for a suitable solution for your entire home decor needs that would not burn a significant hole in your pocket while at the same time enhances the overall appearance of the home in the right manner. The paint job in your home would make a huge difference. The UK’s leading brand, Dulux has recently named Heart Wood as the finest and Colour of the Year 2018. In event of you looking forward to making the most of the paint for your home decor needs, you should make use of the advice provided by DM Design, the expert in fitted bedroom in Glasgow. The Heart Wood has been popular for its cosy and warm undertones. Therefore, you should look forward to make use of the colour in your bedroom theme. Your bedroom would definitely liven up with the Heart Wood touch. The natural affinity with tactile textures of the Heart Wood would be a great mode to introduce heart wood hues into your bedroom. It would help you create a cocooning effect using plenty of layers. You could think of covering the lower half of your bed in a comfortable throw blanket. On the other hand, the top half of the bed would be covered with a pile of cushions. It would be all in Heart Wood tones. However, you may not wish to have too much of similar colour. Therefore, you should look forward to adding a touch of glamour with some extra features. 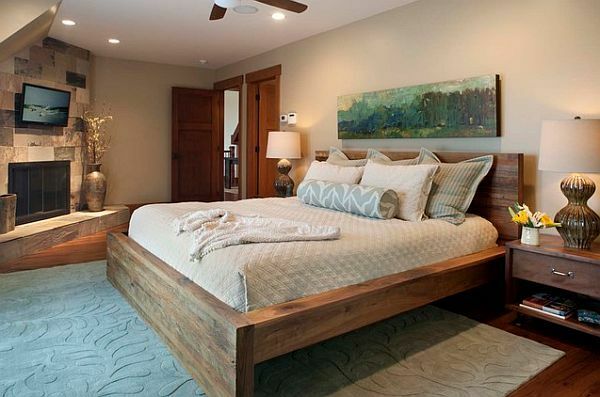 You would make use of a mirror, picture frame or bedside light to enhance the overall appearance of the bedroom.